Give your listings a new look with the Listing Templates extension for Easy Property Listings. There are many templates to choose from, see the Archive and Shortcode Templates menu above to see the different template options in action. 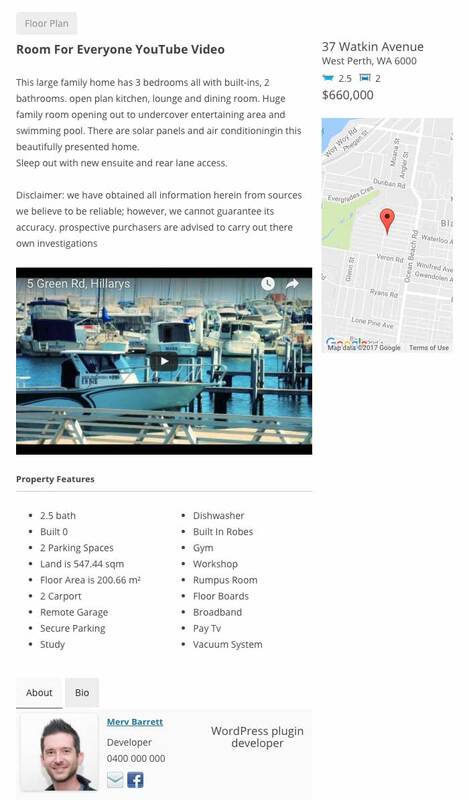 This demo site is currently set to Heading Top for the single listing view, see the images below for other examples of the single listing view.